April Germany, is very beautiful. Blue sky, white cloud, green grass, fresh air, let us be fascinated. 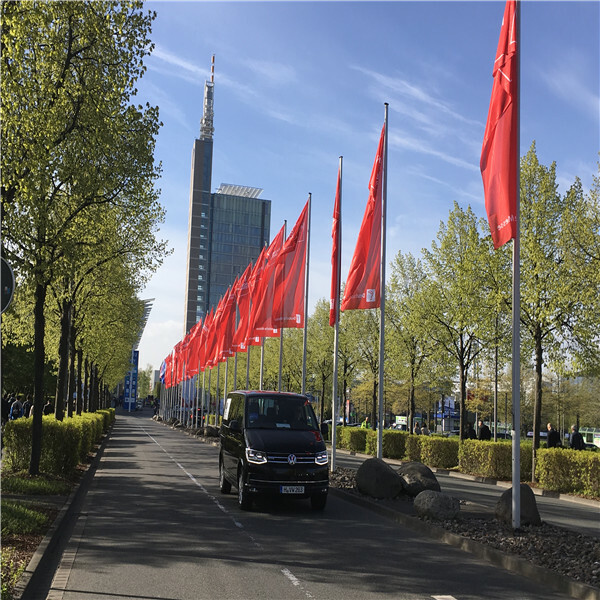 April 24-28, Elegant titanium group attended the HANNOVER MESSE 2017, the world top industrial exhibition, founded in 1947, which is recognized as the most global show platform for the industrial design, manufacturing, technology and international trade. 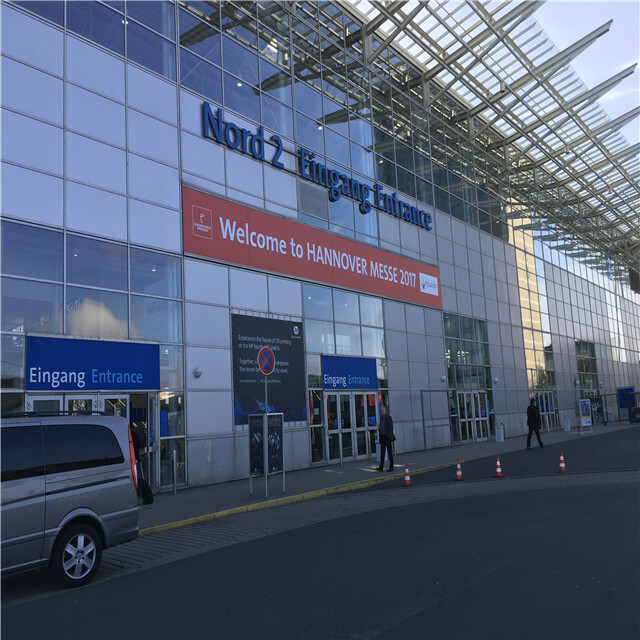 During 5 days, about 100 customers visited our booth, discussing business opportunities and exchanging ideas. 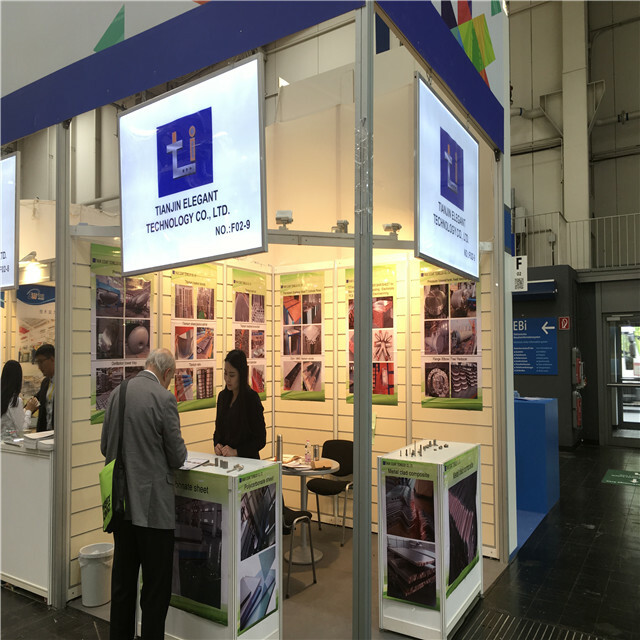 They were all interested in our metal clad composites by metal bonding or explosion bonding technology. 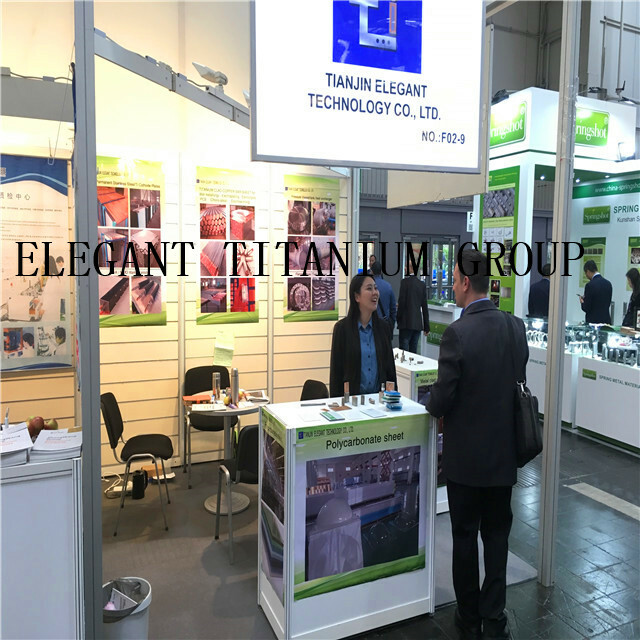 Some user knew and bought our clad products before, they placed more formal orders due to the good discount during the exhibition promotion. Some new customers saw the titanium/steel clad copper/ Al bars first time, they were very surprised such technology and took some ti clad copper / steel clad copper samples for try and evaluation. 5 days is short, however, we make more new customers, friends. hope our friendship longer time. 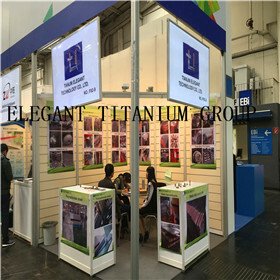 It is our elegant mission to provide the high quality ti clad copper bar, titanium clad copper anode, permanent cathodes for all over the world users.